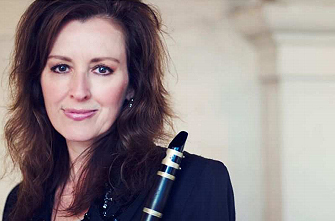 Sheryl Renk is the Principal Clarinetist of the San Diego Symphony. She was the Principal Clarinetist of the San Francisco Ballet Orchestra for 10 years and was formerly an acting member of the San Francisco Symphony for four years. Sheryl completed her music education at San Francisco State University and the San Francisco Conservatory of Music where she studied with Donald Carroll. She continued her clarinet studies with Rosario Mazzeo, formerly with the Boston Symphony Orchestra. Festivals attended include the Santa Fe Chamber Music Festival, the Mainly Mozart Festival in San Diego, the La Jolla Summerfest Chamber Music Festival, the Durango Music Festival in Colorado, the Cascade Music Festival in Oregon, the Carmel Bach Festival, and the Bear Valley Music Festival.